Phosphorus is often found in organic compounds and coordination complexes making Phosphorus-31 NMR spectroscopy a useful routine analytical technique. It is easy to acquire and interpret phosphorus NMR spectra because of the high sensitivity of 31P and its wide chemical shift dispersion. 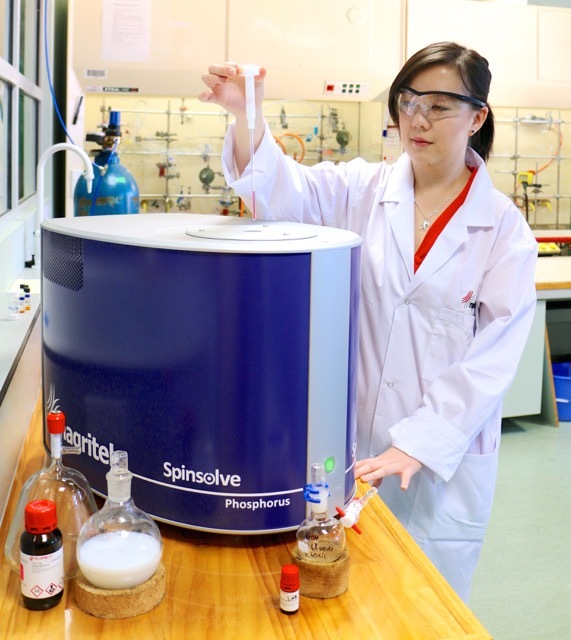 The Spinsolve Phosphorus Benchtop NMR Spectrometer an excellent tool for use in areas such as quality control, purity assessment and reaction monitoring. 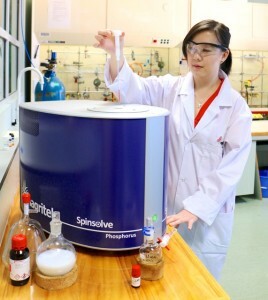 To find out more please download the Spinsolve Phosphorus Benchtop NMR Spectrometer brochure.